Brussels – Apartments in Brussels. Maps of Brussels, Photos and Reviews for each Apartment in Brussels. Looking for a hostel in Brussels? Look no further, all the good deals in Brussels are on Dorms.com. Like thousands of other people every month, book your hostel securely at the best price in all neighbourhoods of Brussels. 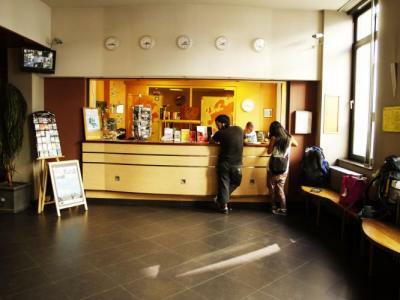 On this site, you can easily find a hostel downtown, in a trendy neighbourhood; a hostel in the student- university district, close to bus or train stations, airports or major attractions of Brussels. 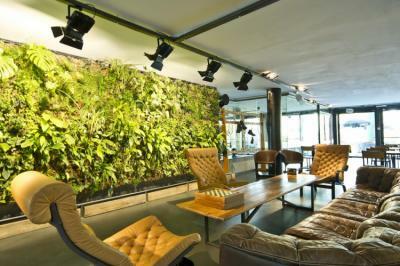 The greenest youth hostel in Brussels borders onto the Soignes forest and the city centre is 15 minutes away with the subway (plus 10 minutes walking or 3 minutes by bus from the metro station). Very good place to spend a few days. Very well located and quiet. The breakfast is quite complete. Value for money: 9. We had a bit of proliferation with the rooms, which we could solve by mail. Although we had reserved two family rooms through your website, by email they tell you that it could not be. but in sho they corrected correctly, because they saved us a family room, and the two men and the boy went in a shared room. The person receiving the first day at dusk, when we arrived, fantastic. On the contrary, on the day we left, the person who attended us was not upset and made us waste a lot of time for nothing, since I had everything I had paid before arriving at the hostel. The hostel is good, clean, quiet, but quite out of the way. Also, at the reception I was not told that it was necessary to leave the electronic card at the entrance to turn on the lighting system, so I had a little trouble. For the rest, it's fine. Close to public transport and very welcoming. 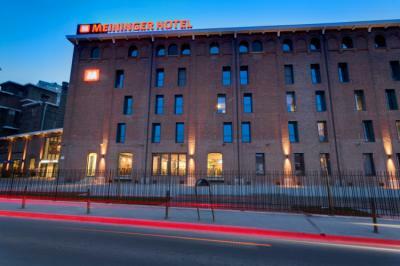 This hostel is set in what once was an old brewery and boasts a carbon netural footprint in its operations. The central location means all the major tourist attractions are close by and easily accessible via public transport. While you stay here, be sure to check out the Grote Markt and Manneken Pis. We are based in a most magnificent estate located in the upper part of town, in the area called “Botanique”, next to the botanic gardens. This estate dating from 1830 and was built by an aristocratic family the same year Belgium was declared independent. The "Botanique" is also a famous concert venue in Brussels. All major sites within walking distance. Very good hostel located 15 minutes from downtown, popular area where you should avoid walking alone at night. Many friendly meetings and a very nice staff. Because it is a chain, I have a familiarity with the environment, so I really like this store. There are a lot of international youth hostels and kitchen bars. This shop wants to be modified by the museum. The space is very high and very clean. It is a bit far from the center, but the price is cheap and clean is very cost-effective, anyway, it is still very convenient to buy a ticket for a day ticket. We spent two nights at this hostel! Very nice hotel, very well run !! Hostel central and comfortable, accessible and very close to the city center and the train and bus stations. Friendly and attentive staff, with control of multiple languages. Great room, very welcome, close to the city center on foot .. At the top! It is a large house with original decoration, clean, where you feel at home. Ability to be outside when the weather allows it. Breakfast is good. 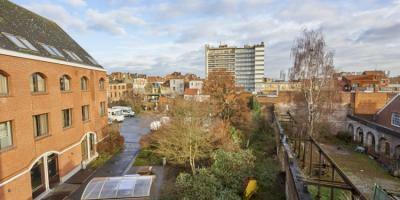 Ideal location: 10 minutes walk from Brussels North, 15 minutes from Grand Place. Thank you very much for your warm welcome with the warmth of the fireplace hearth. The area is very calm and green with a beautiful architecture. Only 100m away from Schaerbeek station and 15 minutes away from Gare du Midi. Close to the city center, just 10-15 minutes by tram or train. Easy access to the most tourist attractions, direct tram either to the Atomium, mini Europe or amazing park du Cinquantenaire... There's a big park (Josaphat Park) for runners at only 10 minutes walk. Docks shopping area and small night shops at only 5 minutes walk. Hello, Both good and bad experience: stained sheets, dirty walls, bed fleas (that was horrible), a pack of crisps between the mattress and the bed frame ... Despite this, the welcome has Was very good, very nice staff, very good breakfast, nice places. The hostel is a bit far from the center. A great welcome, a friendly and original space, we can not ask for better. I had a very good stay, I will come back with great pleasure to this hostel. We had a great stay at this hostel that we had booked for a bachelor party. When we arrived, the room was ready, as described and clean. In addition, the hostel is really charming. I highly recommend it. 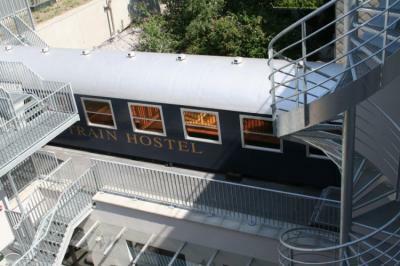 Very nice stay in this hostel-train. Successful decoration in train-sleeper mode with the comfort of a hotel. Courteous staff. Rich buffet breakfast. Thanks to girls who did not respect me as I slept I had a terrible night. His phone rang all the time.